The student loan reform measures included in the recent health care system overhaul include a number of changes in the structure and administration of Stafford Loans, Pell Grants, PLUS Loans, and more. Whether you are for or against the changes, it's important for prospective and current college students, parents, and alumni with student loans to understand what has changed, how it impacts federal college aid, and what responsibilities they have under the new system. Student loan reform includes some key structural changes to how student loans are originated and administered. It also provides additional funding for students. The fees paid to private banks to act as the middle man between students and the federal government have been eliminated. The Obama administration estimates some $68 billion in savings (over 11 years) through this measure. The savings will be routed back to students through expanded Pell Grants. The grants will now increase along with the rate of inflation, which could increase the top grant amount to $5,975 by 2017. The federal government will also increase the number of grants. The elimination of bank fees is also expected to make it easier for students to repay outstanding loans. Beginning in June 2014, students will be allowed to cap the amount of their payment at 10 percent of their income (versus 15 percent). And make sure to keep up with your payments! Balances will be forgiven after 20 years (versus 25 years). If you're in public service (military, teacher, nurse), then it's only 10 years to loan forgiveness. First of all, don't worry about these changes. This won't impact you getting loans or grants, or affect the amount of money you receive in a negative way. But you will see a change in how they are administered, and you'll no longer deal with a private lender. Instead, you will be dealing directly with the federal government. 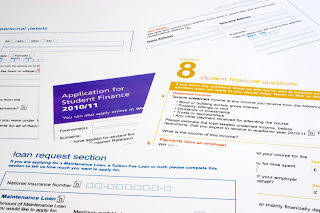 The financial aid process will remain a familiar one for most students. You'll still need to complete and submit the Free Application for Federal Student Aid (FAFSA) each year. One thing all students need to do is first complete a new Entrance Counseling Interview and then, student and parent borrowers will need to sign a new Master Promissory Note. Both items can be found at www.dlenote.ed.gov. This is for PLUS Loans, Stafford Loans, and all other federal student aid. Students must have their FAFSA PIN number to sign in. PIN numbers can be accessed at www.pin.ed.gov. Some good news for parents: The fixed interest rate under the reform measure for PLUS Loans is reduced from 8.5 percent to 7.9 percent. Remember, Student Financial Services here at Peirce College is available to help you navigate and understand the changes. You can find us on the first floor of the College, reach us via phone at 888.GO.PEIRCE, ext. 9370, or contact us via e-mail.